Robert Rosen (Toms River) - Book Appointment Online! We are the premier provider of dermatology in Toms River and the surrounding areas. We are committed to providing our patients with the most up to date, safe and effective dermatologic care. We strive to provide our patients with first-class customer service and acknowledge that patient satisfaction determines our success. Patient care is the priority of our physicians and staff. Thank you for choosing us to help keep your skin healthy and beautiful for years to come. 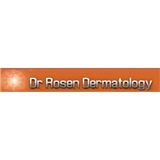 Specializing in medical and surgical Dermatology, Dr. Rosen is Board Certified in Dermatology and has lectured and published on a variety of topics in national and international forums. He maintains staff privileges at Community Memorial Hospital and has offices in Toms River. and Forked River, New Jersey. Our Dermatology practice strives to provide the highest level of care for all problems of the skin, hair and nails. Dr. Rosen is very professional and I'm glad I chose him as my specialist. I highly recommend him if anyone is looking for a dermatologist.